Pets Best Insurance has brought on Dr. Kerry Fost, Dr. Linda Lobb and Dr. Jane Matheys of The Cat Doctor Veterinary Hospital and Hotel in Boise, Idaho as its newest expert contributors. The pet insurance company, which makes resources available for policy holders and pet owners through its blog and Facebook pages, now has a total of four contributing veterinarians, a professionally certified dog trainer, and a published pet author. 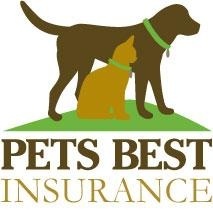 Pets Best Insurance will post an expert article on its site each week. In addition, the pet insurance company offers a forum to ask its team of experts pet health and behavioral questions on its Facebook page. For more information visit, www.petsbest.com.